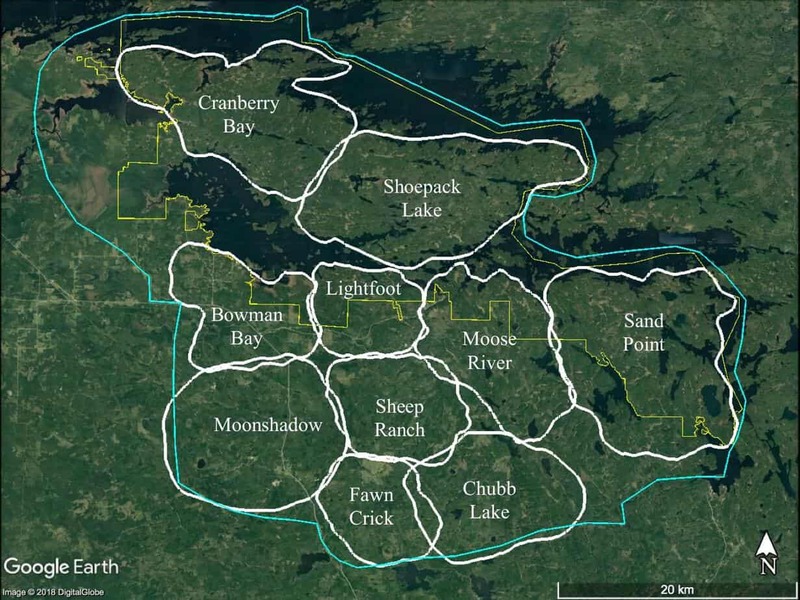 Researchers with the Voyageurs Wolf Project released maps showing 68,000 GPS-locations of seven wolves being tracked. 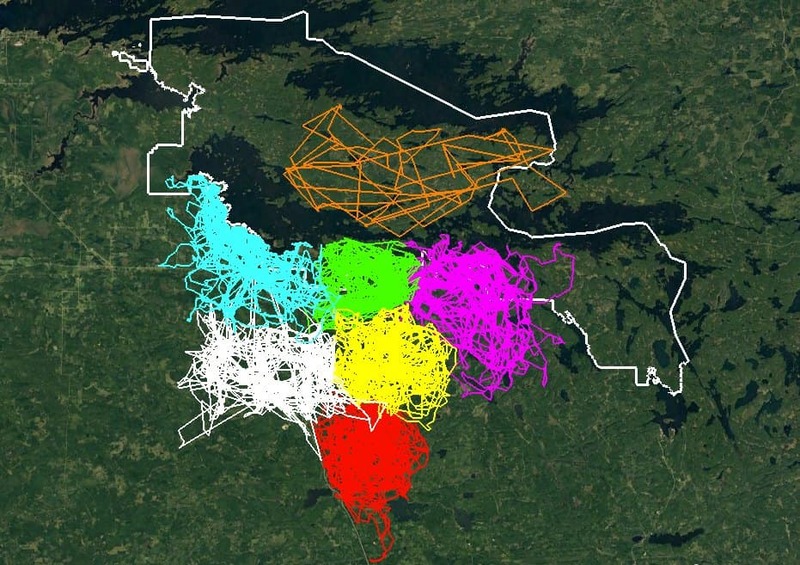 These seven wolves were outfitted with GPS collars that collected their position every 20 minutes over the course of the past summer (data from the northernmost wolf was collected every four hours) at Voyageurs National Park in Minnesota. Each of these wolves movements were then able to be tracked within their respective packs. The data collected by the GPS collars is being used to understand pack boundaries and for the Project’s predation research. If a wolf stopped for more than 20 minutes in a given location, researchers from the VWP would visit the site to look for any kills. Researchers hiked over 5,000 miles over the summer to visit these locations. What look like crayon scribbles are actually the travel paths for each of these wolves which shows how each pack adheres to territories with very little overlap with other packs in the area. GPS data locations collected by the Voyageur Wolf Project team. From the GPS data collected, researchers were able to discern territories for each of the wolf packs in the area.